My name is John Donaldson and I feel I'm at the start of a journey. Let me explain. I've written millions of words over my lifetime, most of them while a professional journalist for a number of weekly and evening newspapers. I've also written hundreds of articles for several search engine optimization companies over the last few years. Now, I'm writing for me. And I'll be writing about all sorts of things, whatever takes my fancy. That's a great feeling. Indeed, there's only one word which springs to mind. 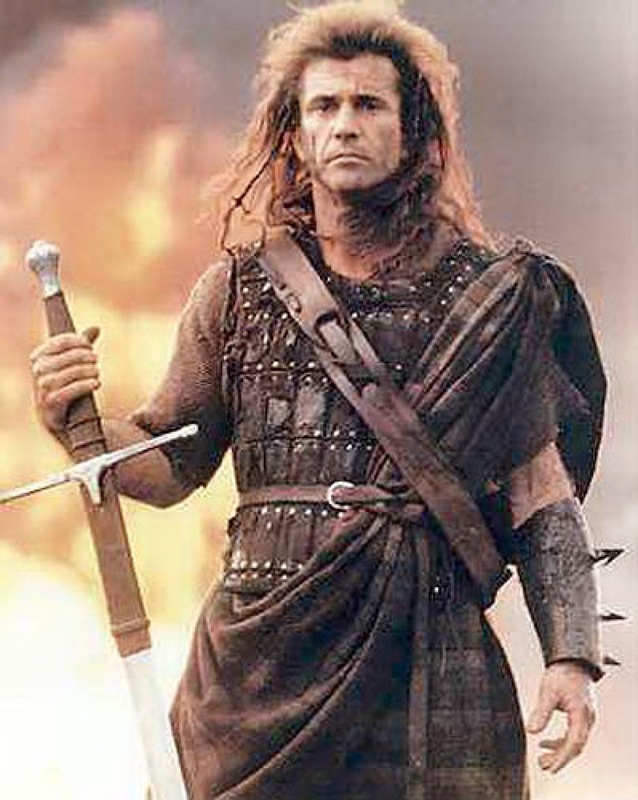 Hence the picture of Mel Gibson playing the part of Scottish patriot William Wallace in the 1995 film Braveheart. Somehow, it feels perfect. Of course, I loved the film. And to say that it took more than one or two liberties with regard to historical accuracy is a bit of an understatement. But no matter. Suddenly the world knew the name William Wallace, and that many centuries ago he stood up for Scotland. In 1995, that still had an incredible resonance all around this proud and ancient land which I call my home. So often, Scotland is subsumed by its largest neighbour to the south, England. For as long as I can remember, England's history has replaced so much of Scotland's history, to the point of neglect. In many respects, that's where Scotland's sense of inferiority has sprung from. After all, how do you know where you're going if you don't appreciate or understand where you've come from? I'm pleased to say that that particular pendulum is beginning to swing back once more. So, hopefully, dear reader, this first post has given you a sense of what this blog might be all about. I say might because even I don't quite yet know where it'll take me. But then that's what freedom is all about. Isn't it? Let me know what you think. Brilliant writing, and very moving. Wishing you all the very best for your continuing recovery. Thank you. Hi John, I'm an English neighbour who read your post with a big smile. The pendulum really is swinging. Everybody has a right to be proud of their history, their heritage and their identity. My daughter has had the fortune of experiencing other countries as a child, and if nothing else I hope it has taught her that each society promotes it's propaganda via education systems etc from a young age, we owe it to ourselves and our neighbours to look beyond. I look forward to reading your posts and seeing where your journey leads. Best Wishes. Hi Jay, Thank you for your comments which I really appreciate. I do hope this blog is the start of a positive journey, but only time will tell. We'll see. Jay, you are most welcome to share the journey with me for as long as you want. Again, many, many thanks for taking the time to read the article and to reply to me.